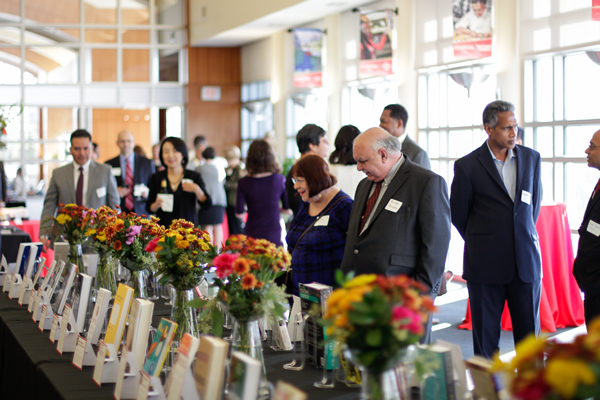 The University of Houston Libraries and the UH Office of the Provost celebrated the accomplishments of newly promoted and tenured faculty and librarians at a reception held in the MD Anderson Library Elizabeth D. Rockwell Pavilion this month. Honorees’ book selections are in the Libraries catalog and on display in a digital exhibit. The UH Promotion and Tenure Recognition Program was created to honor faculty and librarians who have recently been promoted or achieved tenure. Now in its third year, the program invited 68 honorees to select a book that has offered inspiration or encouragement in their professional journey. Book selections were added to the Libraries catalog and book-plated, serving as an enduring tribute to the pursuit of excellence in service, scholarship and learning. View a list of honorees and their book selections in the Promotion and Tenure Recognition Program online exhibit. A new exhibit at the University of Houston Libraries will open on November 5. The Spirit of Houston: A Retrospective 40 Years in the Making celebrates the 40th anniversary of the 1977 National Women’s Conference, the historic event held in Houston, Texas at which over two thousand delegates from 50 states and 6 territories, as well as 32,000 observers, gathered to create a National Plan of Action with 26 resolutions on women’s rights. The exhibit, hosted by UH Special Collections, will feature materials comprising documents and ephemera from the Marjorie Randal National Women’s Conference Collection in the Carey Shuart Women’s Research Collection. Thanks to a TexTreasures grant funded by the Institute for Museum and Library Services (IMLS), over 500 unique archival KUHT Collection videos have been digitized and are now available online. Emily Vinson, audiovisual archivist in University of Houston Libraries Special Collections, collaborated with colleagues* to realize the project goal of preserving and making accessible a large scope of fragile video from the 1980s and 90s, and to accomplish this within one year. The KUHT Collection is home to roughly 2,000 films and over 12,000 video assets, preserving the broadcast and production history of the nation’s first educational, non-profit television station. 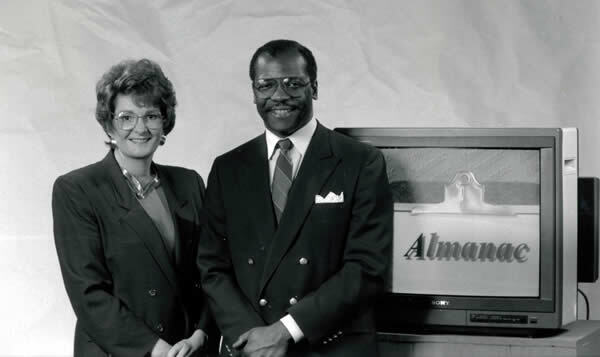 Notable and newly-digitized series from the collection include Almanac, The Capitol Report, J.D.’s Journal, and Ryan’s Roundtable. Scholars from a wide range of disciplines, as well as Houston history enthusiasts, will find high research value and interest in the collection, which provides an insightful and colorful snapshot of Houston and Texas in the late 20th century. Much of the content addresses critical issues in society and politics, such as race relations, the AIDS crisis, zoning and voter laws, crime, education, consumerism, prison reform, and immigration, many of which hold relevance today. Alongside the fast-paced news magazine formats, a number of human interest stories and documentaries are also accessible. Viewers can find the video collection on the newly-released UH Libraries Audio/Video Repository, which is searchable and provides high-quality desktop and mobile playback. Powered by Avalon Media System, the repository was developed to accommodate the Libraries’ ever-growing audio and moving image collections. The TexTreasures grant provided funds for the digitization of the open-reel videotapes, a high-risk format with a lack of accessibility due to obsolete playback options; as well as compensation for the student assistants whose work on the project was integral to a successful outcome. Vinson noted that the KUHT archive has been taken in by UH Special Collections over the past 15 years, and preservation efforts are ongoing. While previous projects include the digitization of early films from KUHT’s educational era, this is the first time that video from the collection has been translated and made widely accessible. Visit the KUHT TexTreasures online exhibit. TexTreasures is a yearly competitive grant program of TexShare, a consortium of Texas libraries joining together to share print and electronic materials, purchase online resources, and combine staff expertise. TexShare is administered by the Texas State Library and Archives Commission (TSLAC). The TexTreasures awards are made possible by a grant from the Institute of Museum and Library Services (IMLS) to TSLAC under the provisions of the Library Services and Technology Act. IMLS is celebrating its 20th Anniversary. IMLS is the primary source of federal support for the nation’s approximately 123,000 libraries (link is external) and 35,000 museums. Our mission is to inspire libraries and museums to advance innovation, lifelong learning, and cultural and civic engagement. Our grant making, policy development, and research help libraries and museums deliver valuable services that make it possible for communities and individuals to thrive. To learn more, visit www.imls.gov and follow us on Facebook, Twitter, and Instagram. *The KUHT TexTreasures project could not have been completed without the expertise of a group of individuals comprising UH students and Libraries staff. Special thanks goes to Carolann Madden, Victoria Moreno, Jess Nowak, Anne Washington, Diana Dulek, Christin Zepeda, Bethany Scott, Marcus Elizondo, Sean Watkins, Andy Weidner, Matt Richardson, Drew Krewer, Christian Kelleher, Mary Manning, and Mark Cooper. The University of Houston Libraries Digital Research Commons invites members of the UH community to submit proposals for sponsored projects to run for the remainder of the academic year 17-18. The DRC is a new physical and intellectual space within the UH Libraries committed to collaborating with researchers on projects involving digital techniques across the humanities, social sciences, and experimental sciences. 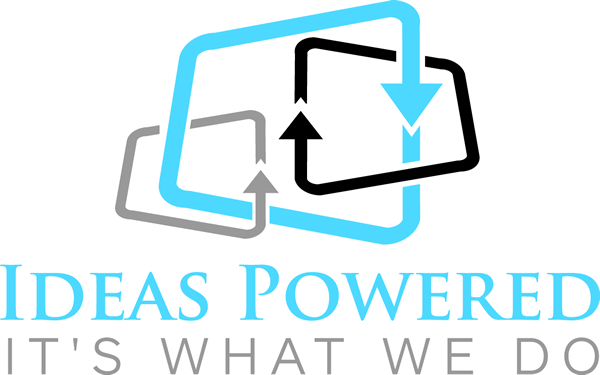 We are looking for teams or individuals, experts and novices alike, who have a project that they would like to pursue but don’t know quite how to get started, how best to organize their efforts, or who need tools or expertise not available elsewhere on campus. Prior knowledge of digital tools and techniques is welcome, but not a necessity. The DRC team will help you craft your proposal and, if your project is accepted, will help find training for team members who need it. We welcome submissions from faculty, graduate students, and postdoctoral fellows. Accepted applicants will work with the DRC to build their projects into working prototypes. Please email Claude Willan with any inquiries, or to apply, by November 3. Projects should result in plans, prototypes, or proofs of concept for long-term digital research projects. In addition to early planning towards a prototype, proposals should identify a problem or research question, explore a research agenda, or discover appropriate methodologies or technologies. We especially welcome projects that draw on UH Special Collections, which involve collaboration with other area institutions, and which cross traditional disciplinary boundaries. We will provide logistical, intellectual, and modest financial support. This can be put towards hiring student assistants or purchasing needed equipment. If you are requesting money to buy equipment, please include a list of the other UH bodies you have also applied to for this purpose. A 1-2 sentence abstract of the proposed project. A list of your project team members and brief descriptions of roles. A budget for the AY 17-18 not to exceed $3,000. What type of source materials will be used in the project (book, map, handwritten manuscript, pottery fragment, etc.) and how many of these sources do you want to include in the project? Are your sources already available in digital form? Are they under copyright? Do you anticipate any challenges to making them publicly available on the web? Which specific methods/tools/technologies will you use in this project? Briefly state your team’s level of comfort with these methods/tools/technologies – do any members of your team require specific training? Environmental scan: cite other projects with similar capabilities that you would like to emulate, or the domain your project will improve upon. What languages/frameworks/pre-existing software/etc. do you plan to use in building this tool? Which members of your team have experience building software projects? Do any members of your team require specific training? Environmental scan: If applicable, please cite any similar tools already in existence, and explain why they are inadequate for your research needs or intended user base. This year marks the 40th anniversary of the National Women’s Conference, held in November 1977. Over two thousand delegates representing 50 states and 6 territories, as well as 32,000 observers, gathered in Houston, Texas for the historic event, the first federally funded conference charged to assess the status of women across the country and the challenges they faced. An exhibit celebrating the 1977 National Women’s Conference opens at UH Libraries on November 5. In honor of this occasion, the University of Houston will host The National Women’s Conference: Taking 1977 into the 21st Century on November 6 – 7, 2017. Sponsored in part by the John P. McGovern Endowed Lectureship in Family, Health and Human Values, the conference will bring together participants of the former gathering and dynamic scholars. Sharing Stories Challenge from Gloria Steinem | Capture and share your story about 1977. UH Libraries Special Collections will host a related exhibit beginning November 5. The Spirit of Houston: A Retrospective 40 Years in the Making will feature materials comprising documents and ephemera from the Marjorie Randal National Women’s Conference Collection in the Carey Shuart Women’s Research Collection, and was curated by UH students in the Issues in Feminist Research course. For information on the exhibit, contact Vince Lee or Lisa Cruces. The University of Houston Libraries welcomes Claude Willan as the new director of the Digital Research Commons (DRC). Please describe your role at UH Libraries and discuss your professional goals and research areas. My role is new to the Libraries. We’re bringing researchers into the library, and we are producing research from within the library. The DRC is a catalyst and hub for research and collaborative work among students, faculty, and librarians. One of the things I discovered when I arrived at UH, to my delight, was the huge number of people who are already working in digital research in various forms across the humanities, social sciences, and the experimental sciences. My job is to bring all of them together and provide cohesion through workshops, reading groups, classes, and projects to build a wide-ranging and diverse intellectual community. Part of my job as DRC director is to pursue my own research in 18th century British literature. I’m particularly interested in the circulation of manuscripts and in tracing where manuscripts went and who read them. I use visualization tools to do that. I’m also interested in more broadly how we came to think about literature in the ways that we do, and the role that the 18th century plays in that story. Please share a bit about your background and interests. How do these inspire and shape your philosophy on digital humanities/digital research? I came here with a PhD from Stanford in English literature. My journey into digital research began much earlier. As a kid I had that curiosity; I had tinkered with some basic programming. In graduate school I was drawn into this large project where I began to think about quite traditional humanistic questions while drawing on skills that I’d picked up as a teenager. We think of digital research as something new or groundbreaking, but a lot of the way we do our work is digital, and has been for decades. What’s new are the tools, innovations, and processes that have brought sea change. What we’re trying to do here is make good on the promise of computing power. When I teach my students new tools to do text mining, data visualization, or network graphs, graduates and undergraduates find it to be an easy conceptual shift, because like me, they grew up thinking digitally in some sense. Digital research doesn’t have to be a big transformation in the way we do things; it’s more about seeing the potential for new avenues of inquiry and scaling our methods. Please describe your first impressions of the University. I’ve been incredibly excited to come to UH because it’s by far and away the most diverse university I’ve worked at, in terms of the student body and in the variety of research that’s going on. I’ve been lucky to meet with faculty who are engaged in unusual and exciting work. It’s clear that UH is being intentional and deliberate about where it’s going as a rigorous, energetic, and forward-thinking place, and it’s thrilling to build something new as a part of that vision. For more information on working with the Digital Research Commons, contact Claude Willan. This week, visitors to the University of Houston MD Anderson Library will notice a suite of 40 banners displayed in the atrium. 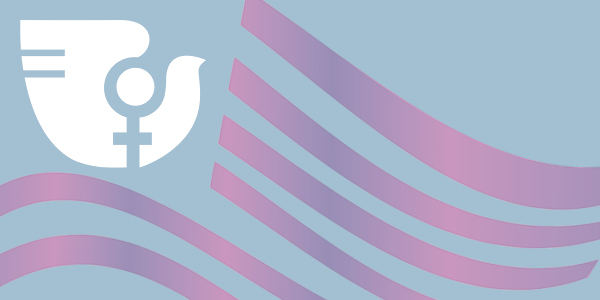 The Banner Project, created by Houston activist Sara Fernandez, is a pop-up exhibit featuring pivotal points in Houston’s LGBT history from the 1930s to present day. 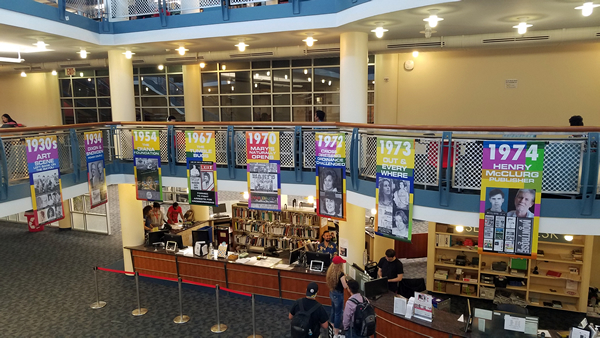 The Banner Project is on display at UH Libraries. The Banner Project will be on display at the MD Anderson Library through October 11, which is National Coming Out Day. Staff from Special Collections will be available with information on the LGBT History Research Collection, as well as outreach from the UH LGBTQ Resource Center. 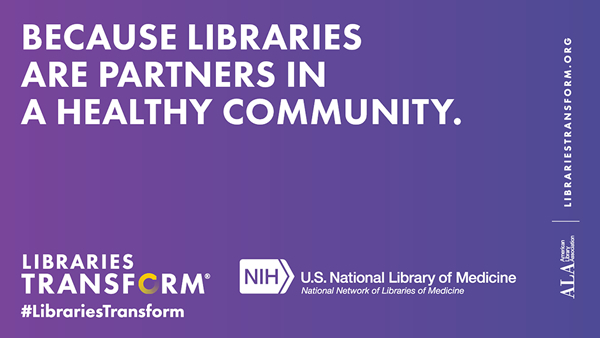 October is Health Literacy Month and Medical Librarians Month. Rachel Helbing, health sciences librarian at the University of Houston Libraries, offers an overview of health literacy concepts to help you make more informed healthcare decisions. Do you Google your medical symptoms and find terrifying results? Are you unsure of the best questions to ask your provider when making healthcare decisions? Are you confused by the often conflicting information in the media about health risks and breakthroughs? If so, taking a little time to improve your health literacy will be well worth the effort. Health literacy is the degree to which individuals have the capacity to obtain, process, and understand basic health information and services needed to make appropriate health decisions. This goes well beyond the ability to read and write. It also includes navigating the healthcare system and being able to understand numbers. Someone can be well-educated and still have low health literacy. The skills that make up health literacy can be extremely helpful when looking up health information online. With the large number of health websites and resources in existence, it can be confusing and time-consuming to determine which are trustworthy. The most important thing to consider when evaluating a health website is the source. Start out by looking at the domain. Websites that end in .gov and .edu are typically trustworthy, while .org and .com may be less so. Check to see if there is an easily identifiable sponsoring organization and/or author, and decide if this is someone you trust. If not, proceed with caution. One great resource is MedlinePlus.gov, a website produced by the National Library of Medicine which includes information that is easy to read and available in multiple languages. The media sensationalism around medical stories can also be stress-inducing. Learning a bit about the different types of risks and risk reductions and how to calculate them will help to get past the hype and see the true meanings of the numbers being reported. Risk is the chance that something will happen. For example, you may have a 2% chance of being diagnosed with a particular disease in the next year. Perhaps if you smoke, your risk increases from 2 to 3%. Risk reduction is the benefit you get from a treatment or behavior. For example, if you take a particular drug, you may cut your chances from 2 to 1%. There are two ways to communicate the changes in your risk of being diagnosed with that disease in the next year: absolute risk/risk reduction and relative risk/risk reduction. Absolute risk/risk reduction is the change in risk in fixed terms, using simple subtraction. 3 – 2 = 1%, so, if you smoke, your risk increases by 1%. 2 – 1 = 1%, so if you take the drug, your risk is reduced by 1%. Relative risk/risk reduction is the change in risk as a proportion of the original risk. This is done by taking the absolute risk and dividing it by the original risk. In both cases, 1/2% = .5, or 50%. If you smoke, your risk increases 50%. If you take the drug, your risk decreases 50%. While it is technically accurate to say taking the drug reduces your risk of being diagnosed with the disease in the next year by both 1 and 50%, media reports will almost always use the relative number of 50%, because it sounds more impressive. Clinicians pay more attention to the absolute number of 1%, because it is more clinically meaningful. News concerning large percentage changes in risk are probably talking about large proportions of small numbers; knowing this can help you make decisions about your health. Another simple statistic that is helpful to know is number needed to treat, the number of people who need to have a certain treatment in order for one of them to get the desired effect. It is extremely rare for a treatment to be effective for every single person. In our example, this would be the number of people who need to take the drug in order for one of them to not be diagnosed with the disease in the next year. Many people who take the drug would never have gotten the disease anyway, and some people who take the drug will still get the disease. Number needed to treat is calculated by dividing 100 by the absolute risk reduction, so in this case it is 100/1% = 100. 100 people need to take the drug in order for one of them to not get the disease as a result of taking the drug. Healthcare is complicated, and factors such as costs and side effects are important considerations. When your doctor presents you with risks and treatment choices, asking about the absolute risk/risk reduction and number needed to treat can help you obtain a better understanding of your prognosis and options. This, in combination with knowing where to find trustworthy health information online, will increase your health literacy and make you a more informed and empowered healthcare consumer. University of Houston students are encouraged to stop by the MD Anderson Library on Tuesday, October 3 for Power Up at UH Libraries. Between 10 a.m. and 2 p.m., students can receive information on Libraries services and resources, including group study rooms, equipment for checkout, and makerspace kits, plus free snacks. The event is part of Powered Libraries, an initiative of the Texas Library Association (TLA) that celebrates libraries and librarians, and promotes library use and support. This week marks Banned Books Week, an annual celebration that highlights free and open access to information. This year’s theme focuses on the importance of the First Amendment, which guarantees the right to read. This celebration is concurrent with National Hispanic Heritage Month (September 15 through October 15). Lisa Cruces, Hispanic Collections archivist at the University of Houston Libraries Special Collections, offers her thoughts on banned books in the context of Hispanic and Latinx authors and literature. UH Special Collections is home to many rare and unique titles that have been challenged or banned. These selections are available for research in the Special Collections Reading Room. Banned Books Week is a great time to reflect on issues that impact many different communities year-round. It highlights the intersection between literature, knowledge, free speech, and underrepresented communities. Challenged books often call to light issues with which people in the Latinx community have been struggling for decades, in particular and very recently, ethnic studies materials in public schools that document and put voice to the experiences of immigrant and undocumented communities. 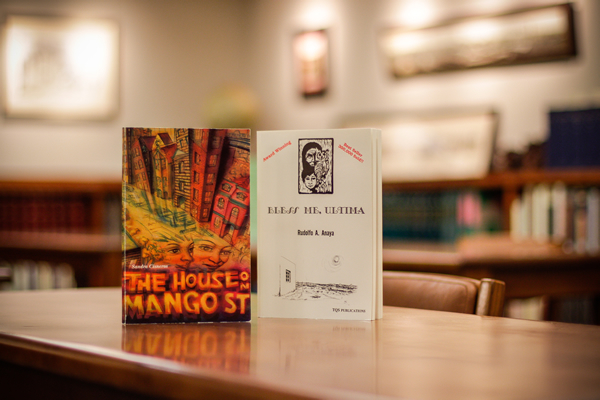 The House on Mango Street and Bless Me, Ultima, two banned books available for research in UH Special Collections. Books representing voices from all backgrounds and cultures are powerful tools that validate an individual’s or community’s experience and contributions. Some of the titles that have been banned, such as Bless Me, Ultima or The House on Mango Street, are examples of the repression of different voices, and of hindering knowledge and growth in education and society. When we ban a book, we ban a voice. It’s great to reflect on voices in literature that don’t necessarily line up with your perspectives. Controversial books are just one way of understanding others’ experiences and circumstances. By being exposed to different opinions, we can reevaluate why we believe what we do, and expand what we believe, and ultimately better understand the perspectives of others. Books that might be controversial at one period in time serve as reminders that, although we’ve evolved as a society, we must continue to humanize these topics in order to grow further. Many of those challenged titles can be found in the Kanellos Latino Literary Movement Collection, housed in UH Special Collections. We’re fortunate enough to have some of those early manuscripts in our archival collections, and it’s wonderful to see that now they’re being published in fifth and sixth editions. The topics are still timely. The University provides a place for research, preservation, and incorporation of those works in higher education and it’s important to show that we’re preserving and creating avenues for those voices to be accessed.